We Are Veterans, Not Pages of Statistics! – VConnections, Inc.
What? Could you put that in veteran language please? In other words, the four bold underlined words mean some of us didn’t get counted. Yes, you read it right, some of us didn’t get counted. 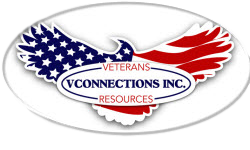 To Veterans and their families—I ask you to contact VConnections and learn how to be counted and learn why the statistical data is necessary.